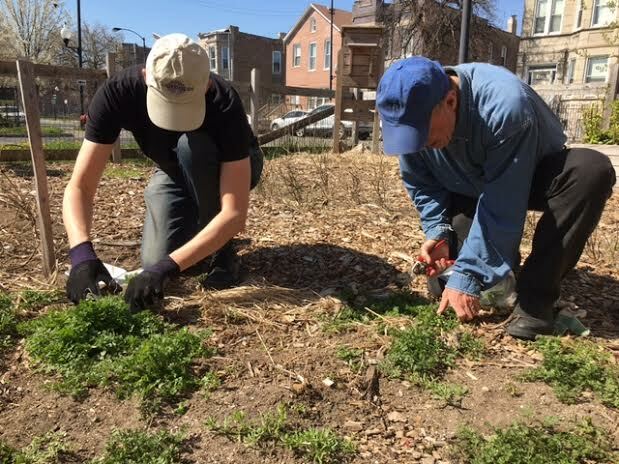 2018 has been one of the busier spring seasons on record for Slow Food Chicago. So today, we're taking a stroll down memory lane to reminisce about all that we've been up to since March. With the summer solstice (and our Annual Potluck celebrating the start of summer) just a couple of weeks away, as anxious as we are to officially be operating on "summer hours," we want to take a minute to reflect on all that we've accomplished in springtime. The 2018 schedule for food book club was announced and we've already met and discussed three of the six titles we plan on reading this year. First up was Give a Girl a Knife by Amy Thielen. 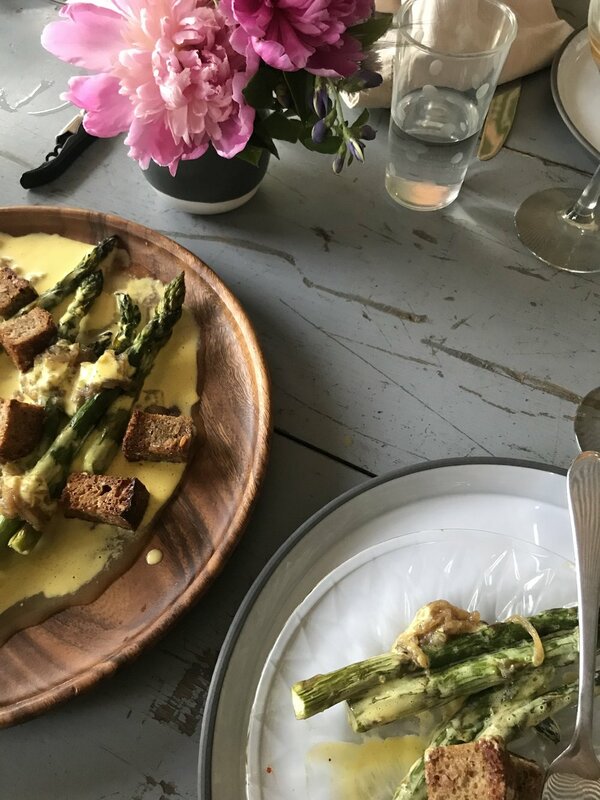 We noshed on sourdough biscuits and discussed this dreamy memoir - a tale of duality about a chef splitting her time first in the big apple in high end restaurants and then returning to her roots in a cabin in rural Minnesota. Next, we changed things up with a panel style discussion at the MCA Commons about Paul Robert's The End of Food while also discussing the Ark of Taste and its efforts to preserve food culture and heritage at risk of being lost. Just the other week, we gathered for the third food book club discussion - where we explored The Art of Flavor: Practices and Principles for Creating Delicious Food by Michelin Star Chef Daniel Patterson and natural perfumist Mandy Aftel. We're taking the month of June off, but we'll be back at it in July with Carl Honore's In Praise of Slowness : Challenging the Cult of Speed. We were fortunate to be involved in this year's Good Food EXPO this March. Not only did we exhibit with a "Slow Seeds" booth where we engaged with attendees and passed out Ark of Taste seeds for planting (including Amish Paste Tomato seeds and Amish Deer Tongue Lettuce Seeds), but we also had the opportunity to sit in on Abe Conlon's and Michael Harlan Turkell's Master Class : Acid Trip, Travels in the World of Vinegar. During the masterclass, participants enjoyed a pork vindaloo prepared by Abe, a posca sour cocktail of Michael's creation, and infused vinegar shots (including aronia berry vinegar, sorghum vinegar, ramp vinegar, heirloom tomato vinegar and concord grape vinegar). Through a new partnership with Eataly Chicago, La Scuola has been hosting "Farm to Fork" dinners featuring "slow" producers. Most recently, this included a dinner with Paul Fehribach, owner of Big Jones. Participants left with a better understanding of Slow Food and heirloom ingredients, which Paul highlights on his menus. Next up this June, we spend an evening with Ali Cole, founder of the Farinata Project, a chickpea based Italian Bread. Hope you can join us! We finally thawed out from the winter and despite a rather chilly start to the season, we got busy volunteering in the garden - planting, cleaning and weeding. 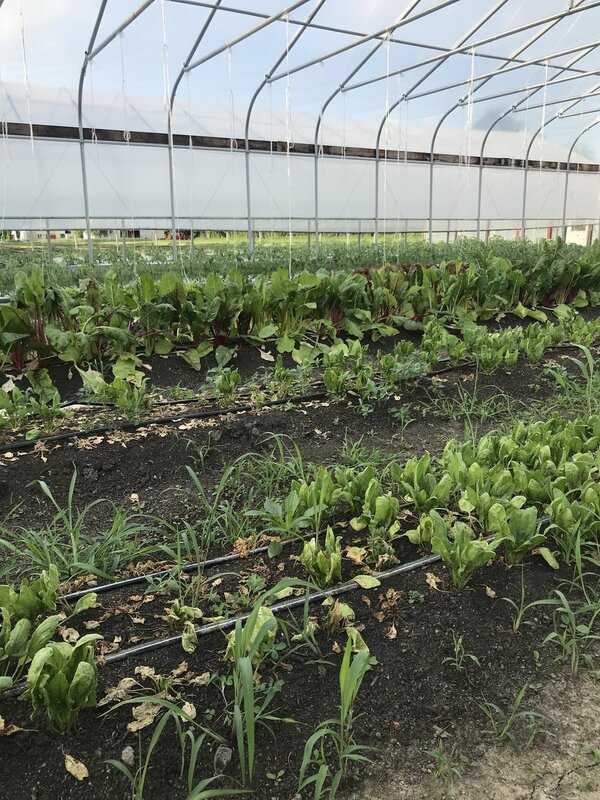 An entire portion of the garden is committed to growing Ark of Taste ingredients, and on a recent volunteer day, we planted kale, chard and onions. As of last weekend, the strawberry patch is starting to ripen as well! If you haven't made it to a volunteer day yet, things are going to heat up this June and July. Hope to see you on the first and third Saturday to get busy in the garden together! Can't make it on the weekends? We're hosting a crop mob at The Pie Patch next Wednesday! 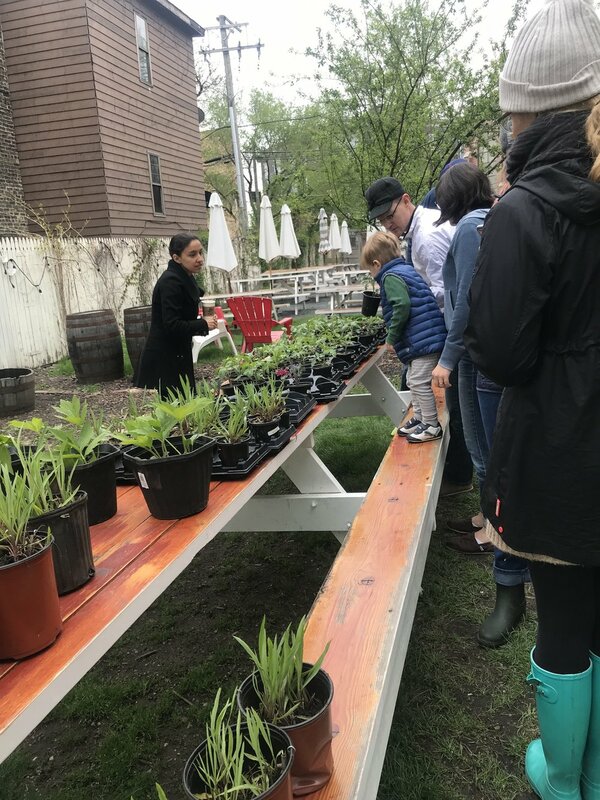 In line with our commitment to engage more audiences throughout not just the city, but also the suburbs of Chicago, we participated in a special Earth Day Celebration at the Montessori Academy's campus this April. Along with other sustainably focused vendors, we had a blast on this green campus along the Fox River. Our annual Tomato Seedling Sale happened on a chilly and sometimes rainy weekend in May. But you still showed up and went home with seedlings to #growyourown this season. Whether you picked up Ark of Taste varietals like Radiator Charlie's Mortgage Lifter or a Sudduth Strain Brandywine or even a variety you haven't grown before like the pepper shaped Opalka or the plum shaped Ukranian Purple, thanks to all of you who purchased seedlings this year and for selling us out of inventory on the first day of the sale! 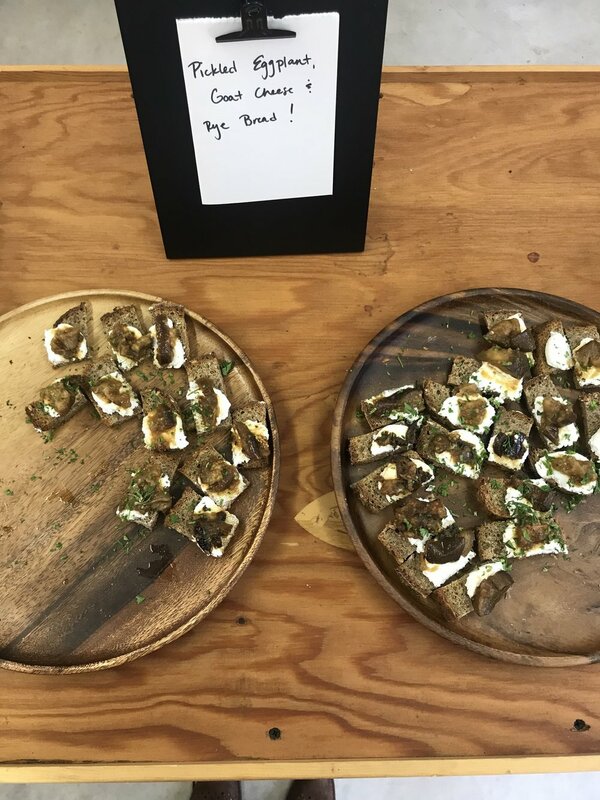 Extra thanks to Bang Bang Pie in Logan Square for hosting us another year (and for fueling us with coffee and biscuits)! Recently, the Farm Bill has gotten some deserved attention in political activism. 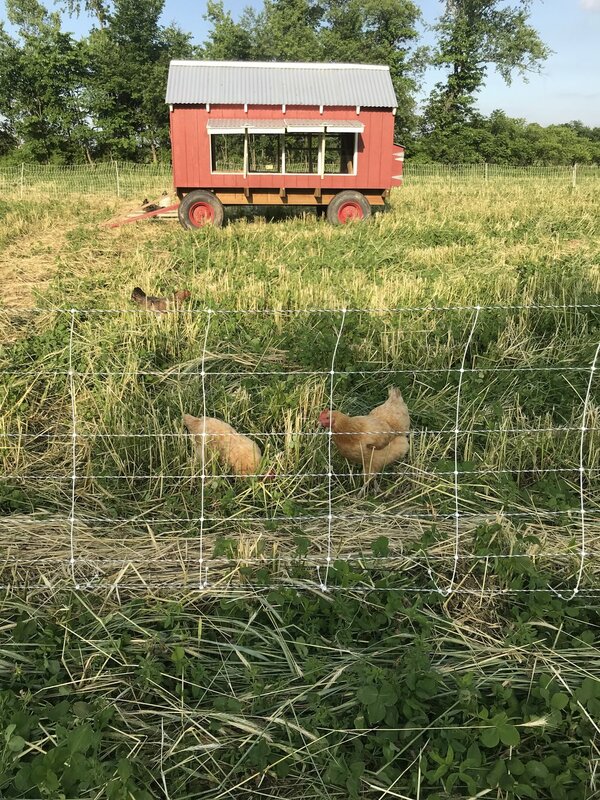 A couple of our very own board members - Jody Osmund of Cedar Valley Sustainable Meat CSA and Alison Parker of Radical Root Farm - have gotten involved in their own right. Both joined forces with the Illinois Stewardship Alliance to host events about the politics behind the food on our plates and "dish" about the proposed farm bill. Oftentimes, these events involve not just food, but also an educational component and perhaps even a postcard writing party where participants can emplor their representatives to advocate for a bill that helps sustainably-focused small family farmers. Click here to read a companion blog post from Farm Aid about these parties that are gaining popularity in these times of increased grass-roots activism. May is notorious for a being a busy time of year. Add to the calendar the industry's most talked about food show that draws industry experts from the world over and you've got yourself a packed schedule. Slow Food Chicago was fortunate to be invited to partake in a couple of stage demonstrations at the BellaVita Pavillon. 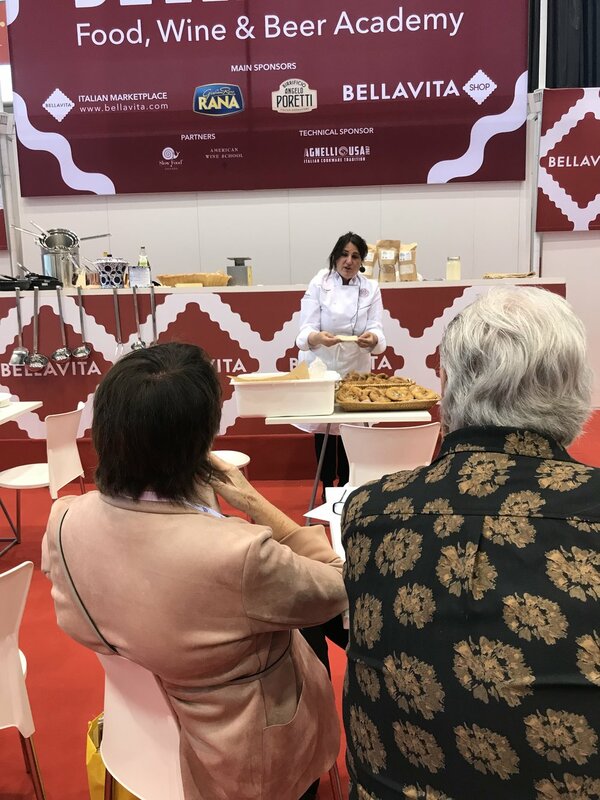 On Saturday, board member and pastry chef instructor Heidi Hedeker lead audience members through a "World of Baking" demo showcasing Ark of Taste Wheats like Turkey Red Wheat which can be used to make pastry dough, naan bread and even miche bread. 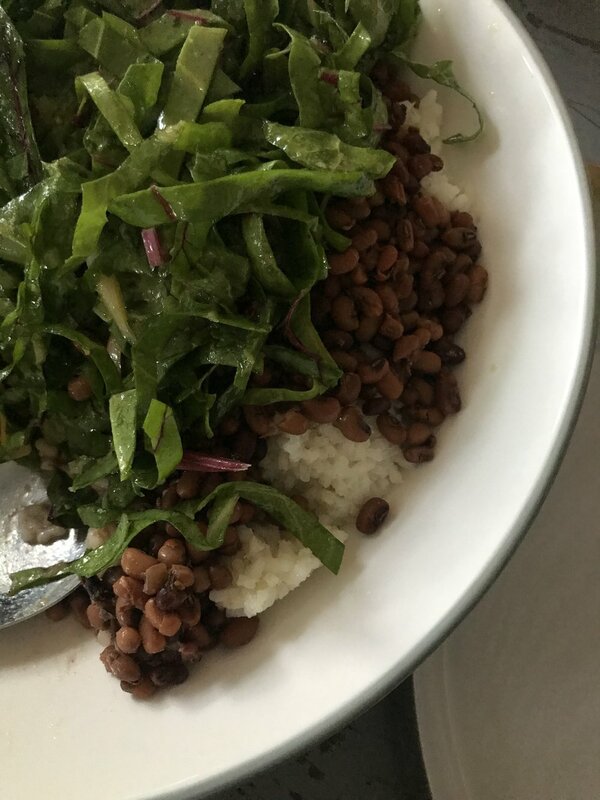 On Monday, chef Jaime Gurrerro and co-president Katie Johnson led audience members through the composition of a grain salad built using primarily Ark of Taste ingredients including Turkey Red Wheat Berries from The Mill at Janie's Farm, Rio Zape heirloom beans from Rancho Gordo, dressed in a vinaigrette using benne oil. Want to recreate it at home? Click here! 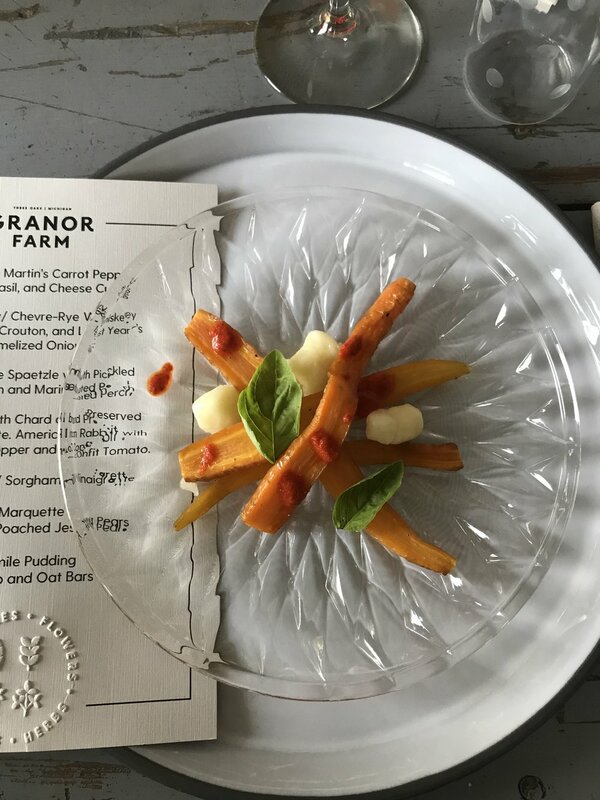 This past weekend, a couple of members of the Slow Food Chicago board were lucky to accompany Midwest Ark of Taste chair Jennifer Breckner to Three Oaks, MI for a special 7-course dinner at Granor Farm. Chef Abra Berens prepared a farm fresh meal highlighting Ark of Taste ingredients and items vital to local foodways. 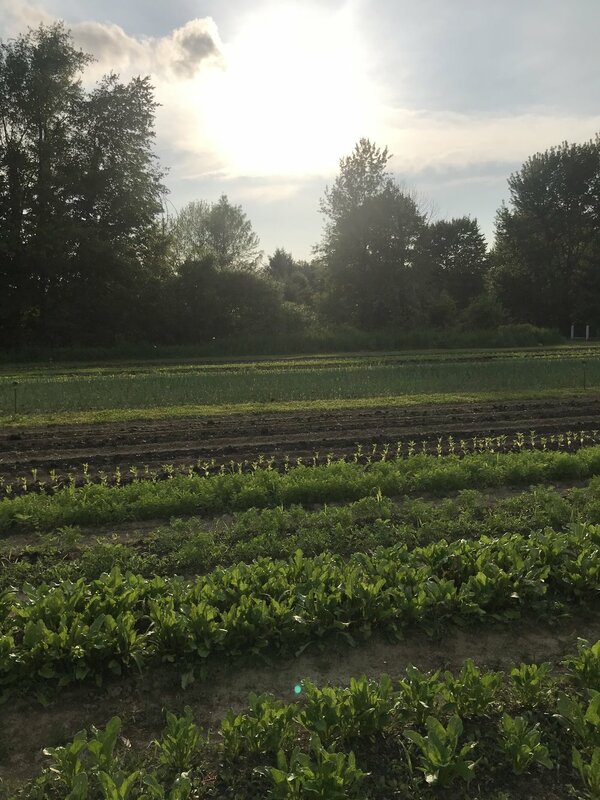 Guests had the opportunity to tour the farm, and then gathered in the farmhouse for meal where the distance from farm to table was virtually 50 yards or less for nearly every ingredient. $45 of each ticket sold to this inspired meal benefitted Slow Food USA and the Plant a Seed Campaign. On top of that, for every ticket sold, a "Plant a Seed" kit was donated to a school garden encouraging #foodforchange. Relive the event in our instagram story highlights. Stay tuned for more this summer and check back on our events page for updates! Thanks for making this Spring the most eventful #goodcleanfair season yet! It's here. 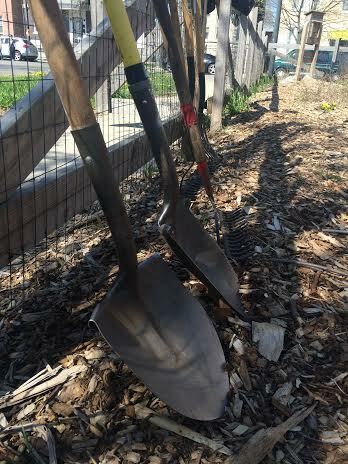 The first preSERVE Garden volunteer day of the season is upon us. We'll be weeding and otherwise prepping the garden for planting this growing season. Images from the 2016 preSERVE Garden volunteer season. We don't want to jinx anything - but we're hoping for a morning of cooperation from the elements. Just in case, be sure to bring layers as well as closed toe shoes. If you have gardening gloves, a hat, and your own water bottle, those items are recommended as well. We will be sharing a small community picnic style meal after the hard work is done - so be sure to stick around after working up an appetite from digging around in the dirt. Can't wait to celebrate the kickoff to the season with you! Questions? Get in touch via slowfoodpreserve@gmail.com. More Info: See also our event page and facebook invite. Dress appropriately (closed toe shoes and layers recommended) and bring gardening gloves, a hat and a water bottle if you have them. Feel free to bring a dish to share as well! 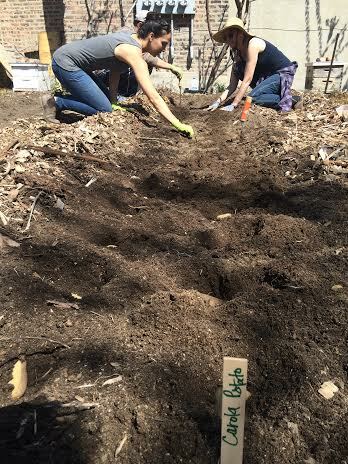 This past Saturday was the first preSERVE garden volunteer day of the season. In addition to prepping the beds, we got some seed potatoes into the ground. After a couple hours of getting some dirt under our nails and feeling the sun on our backs, we enjoyed a community meal. Thank you to everyone that came out, contributed their time (and sweat), and brought food to share. We are so excited for all that's to come this season. And if this weekend was any indication - it's going to be a good season. Mark your calendars. 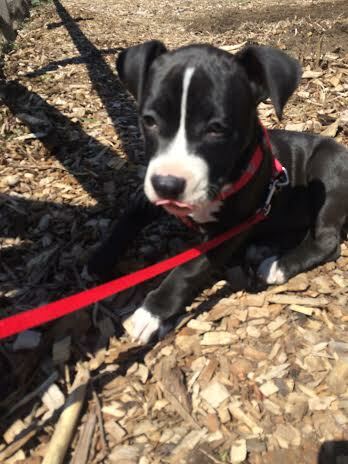 The next volunteer date is May 21st (10am-12pm). Can't make the weekend work? This season, we're adding Thursday evening volunteer days. Join us on Thursday, June 23rd (5pm-7pm). Have questions? Want to RSVP? Reach out to Stefanie at slowfoodpreserve@gmail.com. The deadline for Slow Food Chicago Board Member positions has come and gone. But that doesn't mean you missed out on your chance to get involved and join this powerful movement. In an attempt to inspire you to take that first step, we bring to you another board member alumni profile. Today's dose of encouragement comes in the form of some insights and reflections from past SFC board member Jennifer Polk. Jennifer began as a preSERVE garden volunteer and her participation grew from there. As you will see as you read on - the influence of Slow Food on her personal life also blossomed (pun intended). 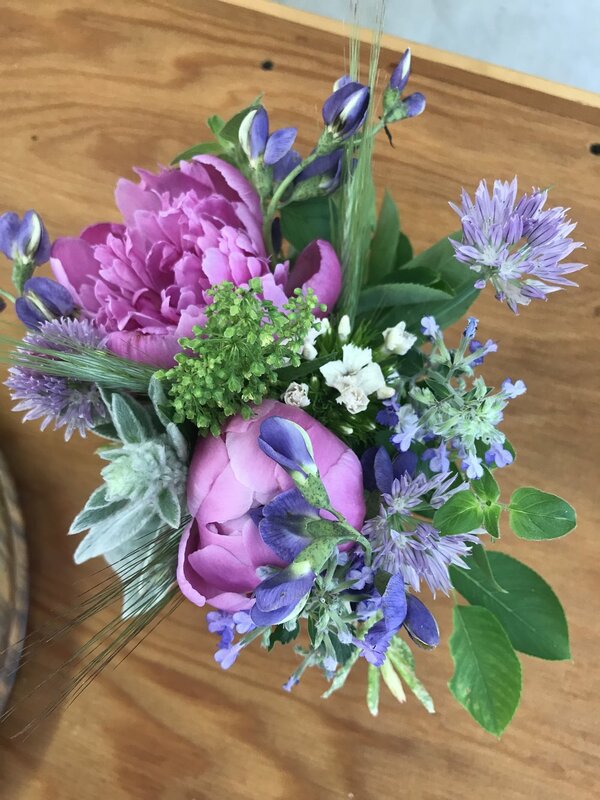 To give you a preview - as her passion for the Slow Food movement grew, so did it's impact in her personal life - as she graduated with time from a few sad containers of plant growth on her back porch balcony to a robust backyard garden. Read on for more food for thought from Jennifer! Why did you join the Slow Food Chicago board? How did you learn about it and what motivated you to get involved? 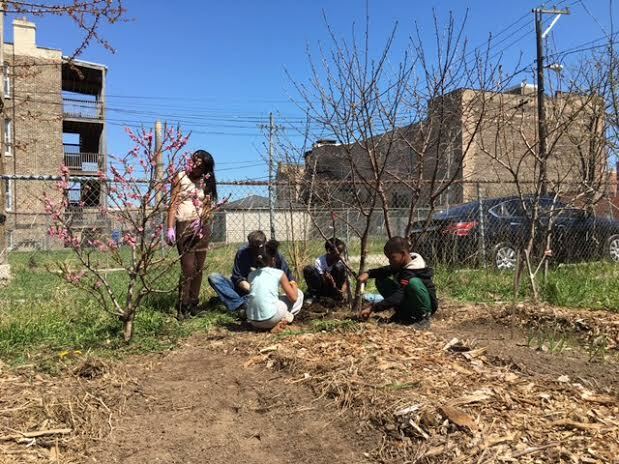 I got involved in Slow Food Chicago through the preSERVE garden partnership in North Lawndale. 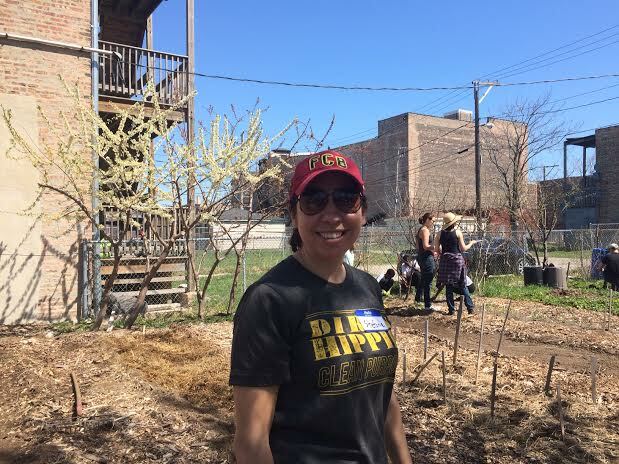 What appealed to me about preSERVE was the hands-on aspect of the work -- building a new food-production garden in a neighborhood with a strong community gardening history. 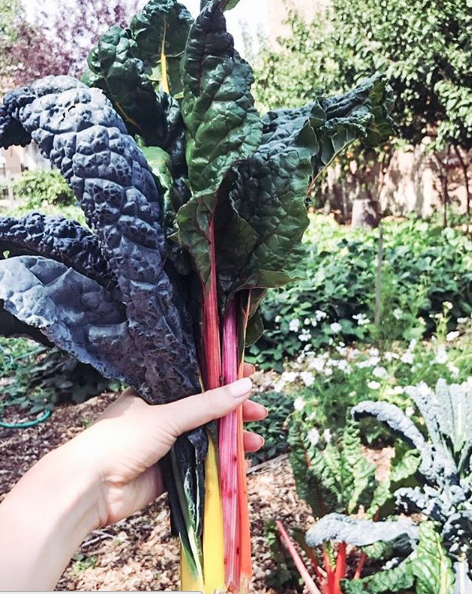 As a gardening novice, I wanted to learn more about planting food crops -- and the opportunity to get my hands dirty in a space larger than the few sad containers on my sunless back balcony was a bonus! 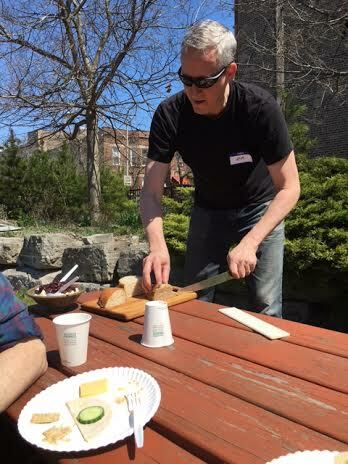 Through my volunteer work with preSERVE, I decided I wanted to get more involved with Slow Food Chicago at the board level. I continue to be most proud of the preSERVE garden, particularly the partnerships and relationships we've nurtured over the garden's five growing seasons. 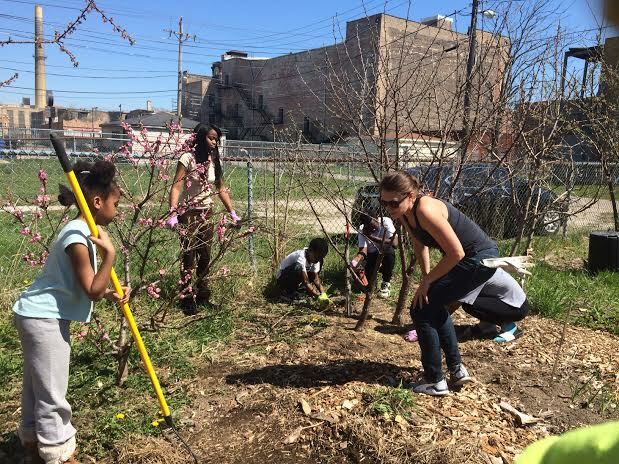 preSERVE is a collaboration between the North Lawndale Greening Committee, the Chicago Honey Co-op, Neighborspace, and Slow Food Chicago. Each organization adds something essential to the success of the overall project. I still go to as many volunteer workdays at preSERVE as I can - and now I also drag my husband and new baby daughter along! Never too early to learn about Slow Food! Absolutely. Once you get involved with Slow Food, it becomes a way of life! From that first sad container garden, I've graduated to a pretty robust backyard garden with five raised beds. I'm also a farmers market junkie and a home canner. To me, it's a vision of the ideal world I want to help create for my daughter -- a place where nourishing, delicious food is available for everyone, and all those involved in its productions are treated fairly and with the respect they deserve. What advice would you give people who want to get more involved with Slow Food? Where can they start? 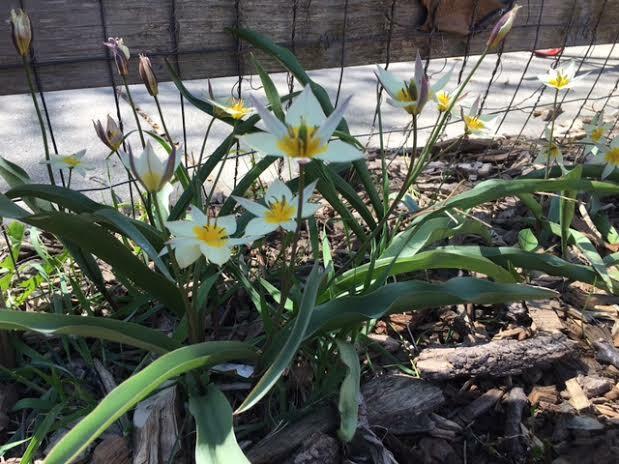 Come volunteer at the preSERVE garden! Ok, so I am a bit biased, but I truly think it's the best way to get started. You can help with almost every aspect of the Slow Food meal -- planting the seeds, tending the crops, and helping with the harvest. You'll take home a bag brimming with the freshest produce, and feel the satisfaction that comes with having participated in the creation of your meal from start to finish! Anything else you want to tell us that we missed? 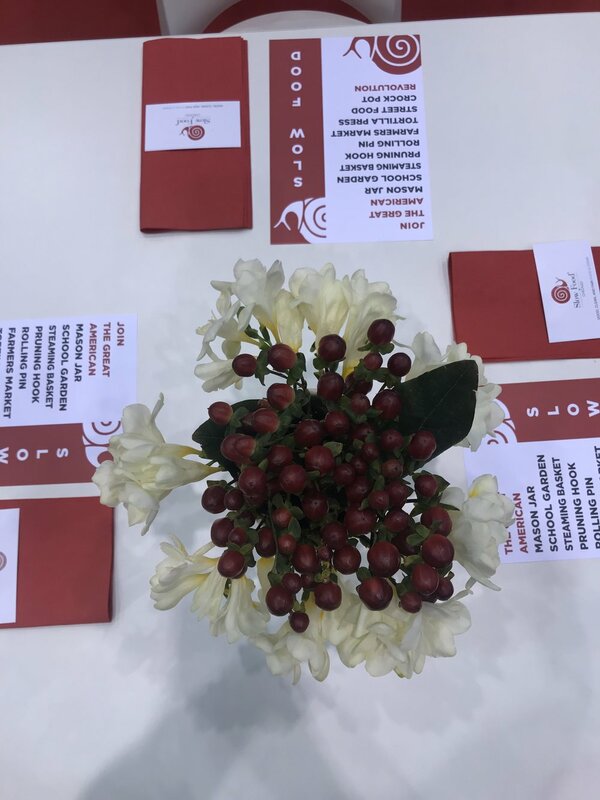 I'm proud to have been part of the Slow Food Chicago board - it was an amazing experience that I would recommend to anyone who wants to make a difference in the food world, in Chicago, and beyond.